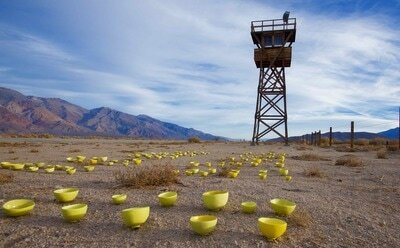 Freedom from Fear/Yellow Bowl Project goes to Hawaii!! The tea bowls and I have been invited to the historic Llljestrand House in Honolulu, where “Yellow Peril” will be on exhibit overlooking Punch Bowl Cemetery and Pearl Harbor in early May. My husband, Simon Winchester, and I will also be there on May 9, 2019 to share the story of where these bowls went and what we found. Hold These Truths comes to the Berkshires! Japanese Americans during WWII, and a 50-year quest for justice to eventually receive the Presidential Medal of Freedom. 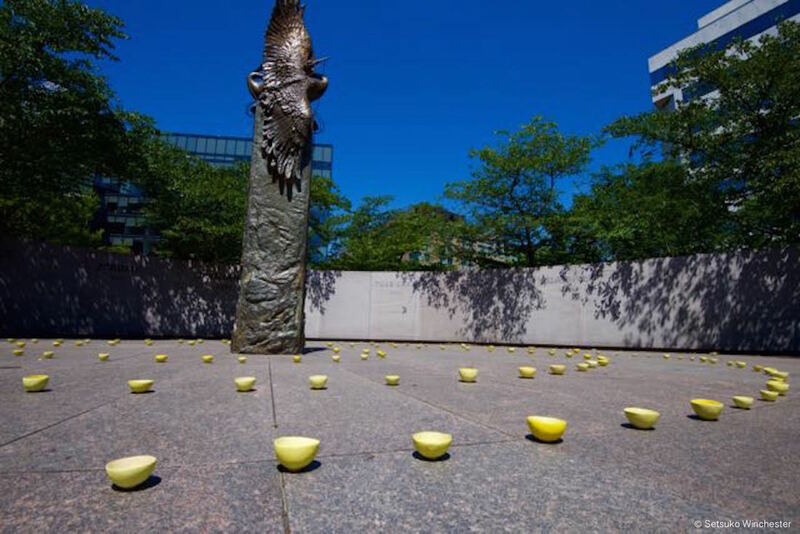 I will be on hand on Saturday, June 1, 2019 at 1pm at the St. Germain Stage to talk about my Freedom from Fear/Yellow Bowl Project and help set the stage for the play. ​A little over a year later, on February 19, 1942, FDR would sign Executive Order 9066, following the Japanese Military’s bombing of Pearl Harbor. The order gave the US military authority to round up and imprison any person it deemed necessary from the western half of the western states of the United States, declaring it to be a military zone. This turned out to be anyone with 1/16th “Japanese blood.” Eventually, over 120,000 would be incarcerated in ten US concentration camps. Two thirds were American citizens. A third were children. No one was ever found guilty of treason or espionage. I am Setsuko Winchester, an American of Japanese ethnicity, a ceramic artist and journalist, and I speak truth to power. 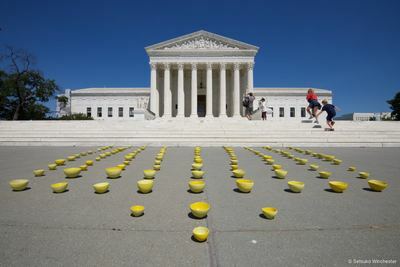 I created 120 yellow tea bowls and took them to all ten US concentration camps where 120,000 people of Japanese ethnicity were imprisoned during WWII. My project seeks both to remind, and to warn, what may happen to freedom when fear rules the day. (Granada), CO. Heart Mountain, WY. 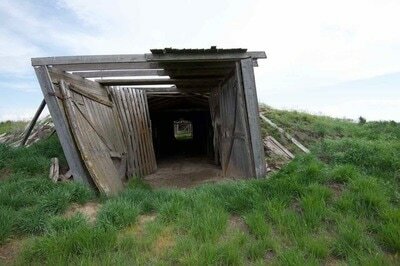 Minidoka, ID. Tule Lake, CA. Topaz, UT. 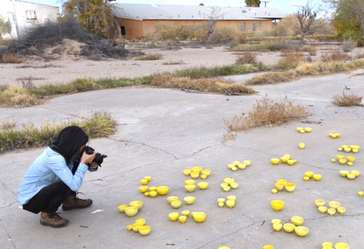 Being of Japanese ancestry and a ceramicist, it seemed natural to express my ideas in clay. For the Japanese, ceramic pots are the architecture of life. There is a pot for every occasion from the ordinary to the celebratory to the solemn. I made one for every 1000 individuals incarcerated. I chose the tea bowl because the philosophy of tea is all about celebrating humanity. A tea bowl fits in the palm of your hand. It is human in scale. It is an attempt to find beauty in the everyday. A hand-pinched tea bowl may not be perfect, but it has soul. No two are the same and yet they share a common purpose. 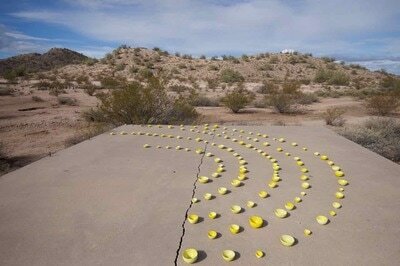 It seemed a natural way to bring together, art, history and a personal journey to tell a story about the human condition. My ceramic/photography project is a play on the contemporary practice of traveling with an object, say a garden gnome, “Flat Stanley” or plushy toy or animal and documenting its travels with a photograph. The traveling gnome was originally a prank, in which someone “borrowed” someone’s garden gnome and sent back to its owner, photographs of said gnome posing or inserting itself in the foregrounds of famous tourist locations around the world. “Flat Stanley” was a literary figure that is literally drawn and cut out of paper and mailed with a journal to a friend or relative who was traveling, in the hope that the person would document where Flat Stanley had been. Stanley and the journal would eventually be mailed back with reports of his travels. Many included photographs and the practice eventually moved to email and the internet. And plushy toys? I met an elegantly dressed young Japanese woman once at a tea garden in Kanazawa who discretely pulled a tiny long eared stuffed rabbit out of her purse and photographed it next to her cup of tea and cake. I asked what she was doing and looking slightly surprised and embarrassed, she showed me all the photos of the many meals she had graced with her bunny. Which brings me to my project. I took this familiar concept but subverted it a bit. Quite a bit. Instead of something easy to transport, I decided to take 120 handmade fragile tea bowls, ceramic tea bowls, packed inside two enormous boxes as my “traveling” objects. Moreover, I took them to places that were not famous or glamorous, but places most people had never heard of nor would probably ever go. But the goal was the same. Just as with Flat Stanley or the Kanazawa Bunny I wanted the viewer to get to know my tea bowls and by extension to become curious to know where they went and why. Perhaps by exposing these places of “fear” we can finally exorcise the shame and guilt, and move forward rather than blame the victim or shame the oppressors. In other words, I hope we will always remember and try to forgive. During the Second World War, the US Government opened ten concentration camps to incarcerate 120,000 people of Japanese ancestry who had been forcibly removed from the West Coast. 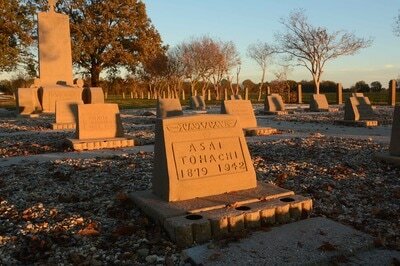 In 2015, I — an American of Japanese ancestry, former NPR journalist, ceramicist — began a journey to visit all the remains of these camps, most of them now desolate and lonely ruins. 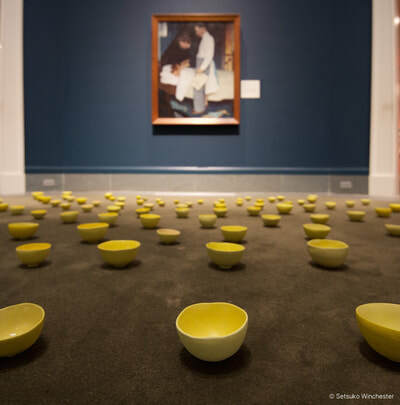 In my studio in Massachusetts I had hand-pinched and glazed 120 bright yellow tea bowls: yellow, to represent the “Yellow Peril,” as Asians were euphemistically referred to at the time, and tea bowls, to represent man’s humanity. My plan was to photograph arrangements of these bowls in each camp, to create a conceptual art project which I called the “Freedom From Fear/Yellow Bowl Project.” The intent of this project is to inform and educate. The hope is to diffuse fear not spread it. "Scary as a bunch of tea bowls"
Initially I knew very little of the camps — like most Americans, I was barely even aware of their names. Manzanar I did remember from middle school; and I think I had an inkling of the existence of a camp at a beautiful-sounding place called Heart Mountain. But Minidoka? Jerome? 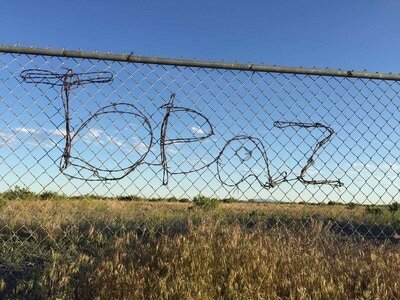 Topaz? Of these, together with Poston, Gila River, Rohwer (where the Star Trek actor George Takei was held), Amache and Tule Lake I knew next to nothing. 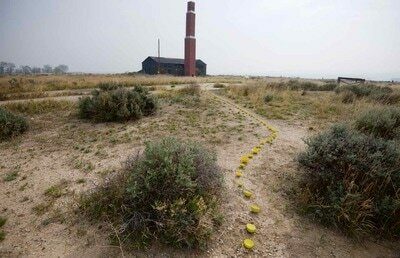 Like the story itself, the camps seemed to have vanished into the dust of history. However, a good map, and specialist guides found on the internet, suggested a route. We would visit the remains of the southern camps in the late winter of 2015, and the northern camps in the spring of 2016. 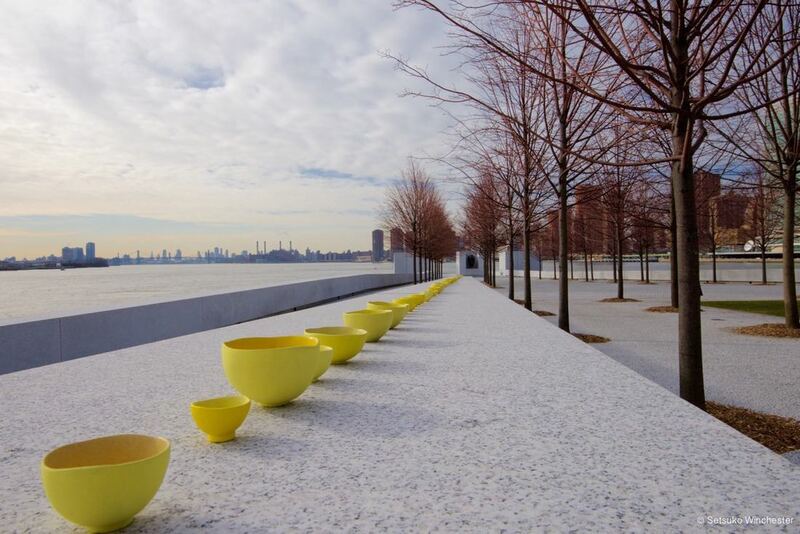 Accordingly, along with my husband and two boxes containing the 120 fragile but very well packed bowls, we set out from New York City, bound for the two sites in Arkansas and the camps in Colorado, Arizona and southern California. We met many helpful and supportive people along what turned out to be an 8,000-mile, round-trip journey. One, a young journalist in California named Sarah Collins, made a short film about the project; in Colorado we met a local community leader, Lois Adams, who sent to us a movie made by a sixth-grade student about what internment means to him. When we returned home, with six camps visited, the local newspaper in our tiny Massachusetts village reported on the expedition; and in early 2016 I was invited to speak on the public radio show The Takeaway to explain the venture within the context of FDR’s famous speech, which had been made more than 70 years ago. It was rebroadcast Thanksgiving morning 2016. In the spring of 2016, we visited the remaining four camps in the more northerly states. We left New York on Monday, May 2nd, and after 2,000 miles reached the first of them in the remote town of Cody, Wyoming, and the notorious Heart Mountain camp nearby. 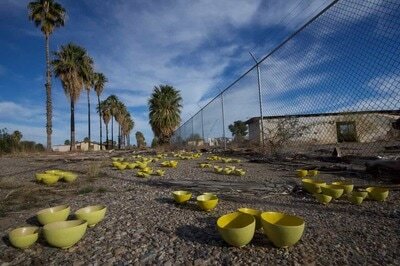 We arranged my 120 bowls in the dust and tumbleweed and visited one of the best little historical museums I’ve visited. It is amazing how much information the dedicated staff have managed to pack into their facility. From there we drove through Yellowstone National Park where the geysers were in full force from the spring snow melt and pressed on through remote but dramatic landscapes to get to the remaining camps: Minidoka in Idaho, Tule Lake in Northern California and Topaz in Utah. 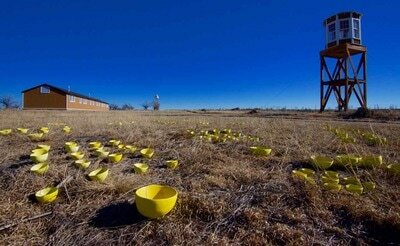 Visiting the camps will take you to an America that most people will never get to see. 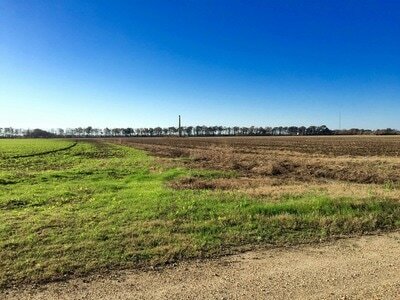 You may not want to live in many of these remote locations but it is amazing countryside. By the end we had racked up another 8,000 miles. 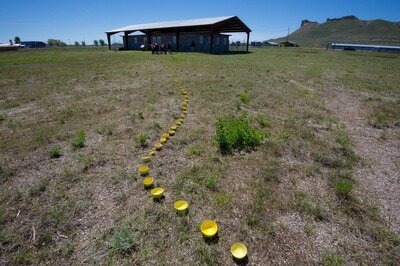 ​In all, the tea bowls have traveled a total of 16,000 miles across this vast and geographically diverse country. ​A woman once said to me, “If you don’t know your own history, you cannot know yourself.” Perhaps that’s true of America. 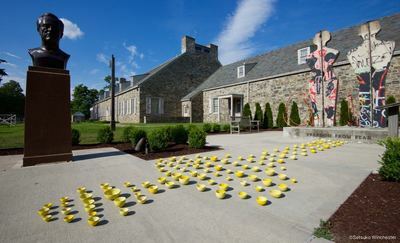 From February 19 through December of 2017, six of my photographs were displayed at the FDR Library and Museum in Hyde Park, NY, as part of an exhibit to remind us that 75 years ago, FDR signed Executive Order 9066 on February 19, 1942, which authorized the secretary of war and any military commander designated by him “to prescribe military areas…from which any or all persons may be excluded.” This paved the way for what would become the mass forced removal and incarceration of all Japanese Americans on the West Coast.